I would have to admit, the first time I saw the pictures of this scooter, my jaw dropped....its just awesome. 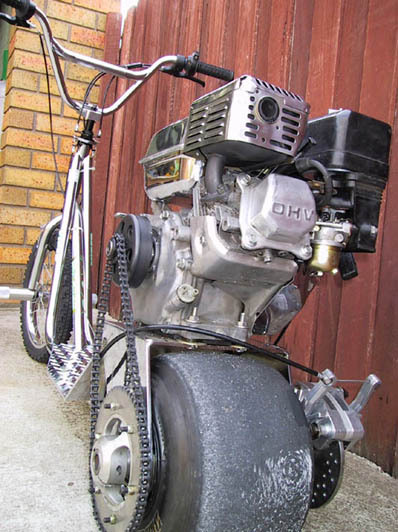 If you are going to build a scooter, and you want it to go fast and look good, then I suggest you start right here. This monster does 0-70km/h in less than 200m ! ! ! 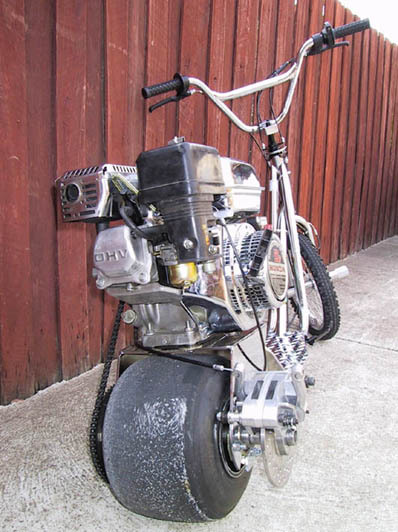 It has a 144cc, 4stroke, 5hp motor. 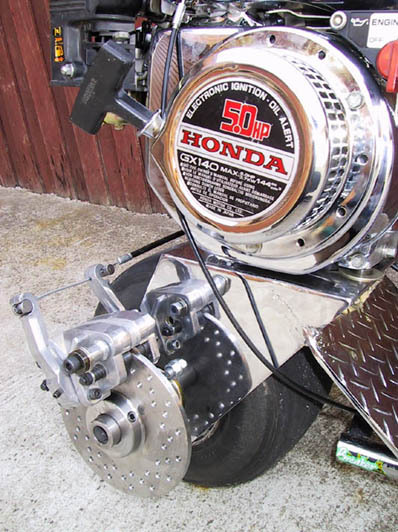 A totally custom rear end, built onto a commercial scooter frame. Checkerplate deck and its all chromed. All components on the rear end are go-kart parts, which makes it simple in design. 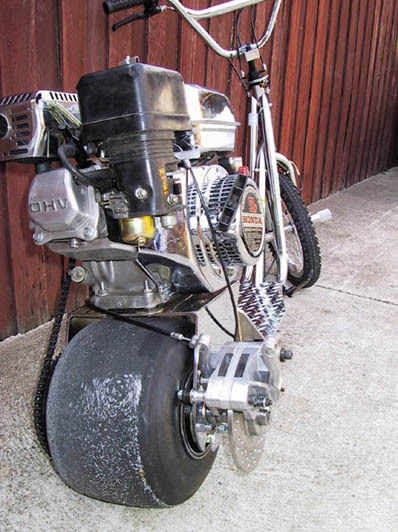 Even the disc brakes are off a go-kart. Here are some pictures until Rom sends me a full homepage for this monster scooter.